Translated by: Clar (if you take this news any where, please credit to Clar. Thanks. Note from Sunshine: This is not the actual pic from the news, I post them so you can see his hair cut. 2 months intensive training to rid of the "Pretty Boy" image. Insung will be insured for his new role in Mean Streets which he will be gangster (Byun Doo) in the movie. This role will requires him to do alot of high difficulty stunts. Insung is always being view as " Pretty Boy", but in this movie, he will be doing the dangerous stunts himself. Thr will be several action-packed scene, with the typical use of big public bus and train. The director, Yoo Ha's previous movie (The Cruel History of Maljuk Street) used minimal safety wire and stuntman to acheive the most realistic visual effect so as to shocked his audience. In a way, it adds on to Insung's burden. Prior to the filming of the movie, Jo Insung has already cut off his hair and goes thru' intensive phyiscal training to change his image. Even thou' Insung has been thru' 2 months of training in the action school, and even got himself injured on the shoulder, he still plunge into the filming of Mean Street with greatest passion. This piece of news is basically the same as the earlier. It mentioned abt the pruchase of the insurance coverage for Insung as he will doing all the stunts himself. It also mentioned in the article that Insung is very confident on doing all the stunt himself and requires no substitute. In the movie, Insung will be doing stunts like jumping off a train, chasing after a public bus and fighting off enemies. Insung went thru' 2 months of boxing and physical training so as to acheive a macho image. Jo Insung, Nam Gungmin, and Lee Boyoung meet in the movie "Mean Streets" : Jo Insung, Nam Gungmin, Lee Boyoung casted in "Mean Streets"
From the director of the movies "Marriage is a Crazy Thing" and "Maljookguhri Janhosa (?? too hard to translate, sorry!)" comes "Mean Streets", a story about the friendship and betrayal of two friends who have been friends since elementary school. Jo Insung was casted as lead role of the tough, fist-fighting 'Byongdoo' early on, but Nam Gungmin as 'Minho', a director and Byungdoo's long-time friend who betrays him, was the last role set in place. The source of conflict between these two men/friends is the leading lady, 'Hyunjoo', who will be played by Lee Boyoung who starred in the KBS 1TV drama "Beautiful You" and SBS' "West Fairytale". The other supporting roles will be played by Jingu and Chun Hojin. On the 24th of September SidusFHN announced that after September, shooting will continue and that they plan to shoot the movie in Seoul, Inchun, and Busan. Nam Gungmin, who starred in the KBS1TV daily drama "My Precious Children" last year, began filming the movie "Mean Streets" on the 27th (of September). In ths film, Nam Gungmin is playing 'Minho' who is a movie director and a elementary classmate and friend since then to Jo Insung's character 'Byungdoo'. 'Minho' is a character that his tough, rough, and uses his fists to deal with things. Even though Nam Gungmin has to play this type of "bad" role, since it is for his success, he did not mind playing the bad/cruel role. This is Nam Gungmin's third movie; his previous movies include "Do a Bungeejump" and "Bad Guy". He says this is "[his] debut in a realistic, reality-based movie" and that "I am happy to be able to show a new side/character in this film." MAJOR COOLNESS! I can't wait to see In-sung in this film. Thanks, sunshine! Jo In Sung is cuteness personified!!! Any news for JIS? I miss him! He's doing a movie right now, Mean Streets. He's playing a different role here from his usual next-door-boy type. he has do undergo a physical training here because of different stunts that his role called for. The story is about friendship & betrayal - bestfriends since elementary but later betrayed because of another girl. that's what I read. Sharing some pix from my collection. 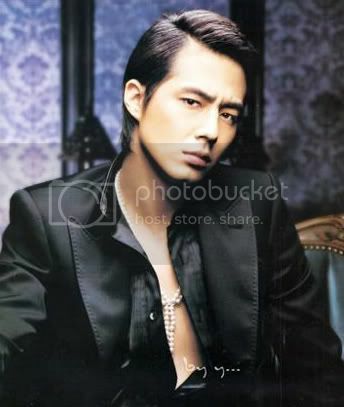 Hi Guys, pix of beautiful Insung!!! Sonickim..so glad to see you hear my friend!! Yes...us Pretty Pretty ladies of JO In Sung! He was intense in Bali..he was sooo funny but Cute at the same time. He shined so Well in Bali!! I just love seeing his new pixs that he took for the fall collection!! Gosh, I am totally Excited about his New Movie!! Mean Streets!! Hopefully he will smile often in this new Movie!! What a charming Smile!! hiya!! !BioBlue we are everywhere now.... Jo InSung and Ji Sub in BAli.... both are a darling and got captivating smile and charisma.... hmmnp!!! so cute!!! when is i think his movie coming out?? Jo Insung will have his body "tattooed" with a dragon for his role in Mean Streets as a breakthru' of his image. The dragon tattoo will use a special paint, and requires up to 10 hours of mecticulous painting by hand. Insung will have the dragon drawn on his hip, covered his back and all the way to his shoulder, estimate that the tattoo will be done by mid of this month. Insung has tried several ways to change his image for this role other than having a tattoo, like cutting his hair. He also went thru 2 mths of intensive training in action school, and weight lifting for better body shape. Mean Streets is abt the friendship of a gangster and a director friend. The film will be release next year. LOL a bad boy image will make it sooooooo hot! lol girls will be stalking him even more now! specially ME!!!!!!!!!!!! Yes me too. I would like to know. Sonickim..Lovely One~~ Yes...my Beautiful so Ji Sub..and the Most charMing Jo In sung!! It's always so Great to see You lovely One!! I just can't hardly wait Until his New Movie comes Out! gosh, I miss that Smile that he always has!! He totally shine so Well In Bali and he has very fashionable in Spring Day!! Miss Ya!! YES! I think he is a total hottie! ^ small but i like that one. some people are look for some gifs. I"ll try to see if i have some. i think i do. but i'll check, if not. i'll try to find some.